Sandra Carey Cody, mystery writer, has agreed to be my guest this month. 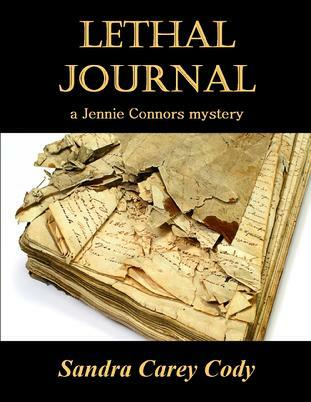 Her latest book, Lethal Journal, is a Jennie Connors mystery. Keep an eye out for Sandra here. Sandra is one of my fellow bloggers at Classic and Cozy and has her own blog at Birth of a Novel here at wordpress. We’ve never met but we were both contributors to the Avalon Authors blog before Avalon Books was purchased by Amazon.